J.R.R Tolkien was a man of many talents. He was not only a great writer, he was an artistic painter, a professor at Oxford and one of the closest friends of the author of Chronicals of Narnia, C.S.Lewis. This relationship reflects subtly in the writings of both these. acclaimed authors. 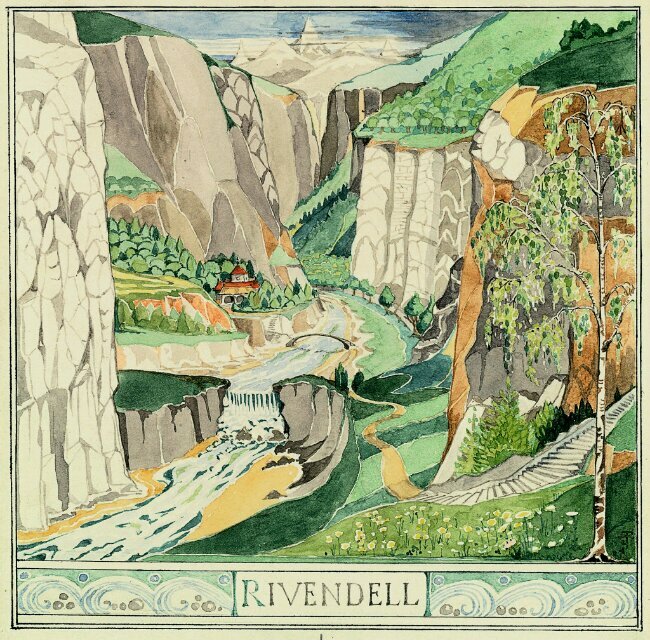 A great work by Tolkien himself, depicting the city of elves Rivendell, an imaginary fraction from the book, Lord of the Rings.